One of the leading manufacturers of TV's, Panasonic have a huge range of screens that will suit any budget or room size. From basic flat screens to fully immersive, curved and 3D models. Panasonic televisions are always great value and a welcome addition to any living room or bedroom. When you’re setting up a home cinema, choosing the right screen is as important as choosing the films you want to watch. Regardless of whether you’re looking to upgrade your current set up, add a TV to your bedroom or you’re buying your first flat screen for your living room, a Panasonic TV will make a big difference. 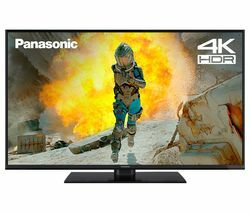 The PANASONIC VIERA TX-55CX680B Smart Ultra HD 4k 55" LED TV is a medium to large size screen with 4k Ultra HD that delivers crystal clear picture quality that’s 4 times the resolution of HD. It comes with Freeview Play, web browsing, streaming services and even has a voice control function. With a TV like this, the whole family will want to watch movies and TV programs together – in glorious detail and colour. 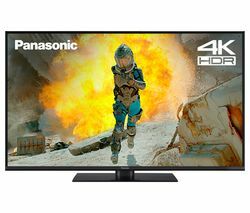 When it’s time to take your viewing experience to the next level add a Panasonic TV to your home and get the most out of your favourite films and TV shows.